President addresses annual convocation of Aligarh Muslim university. The President of India, Ram Nath Kovind, graced and addressed the annual convocation of the Aligarh Muslim University today (March 7, 2018) in Aligarh, Uttar Pradesh. 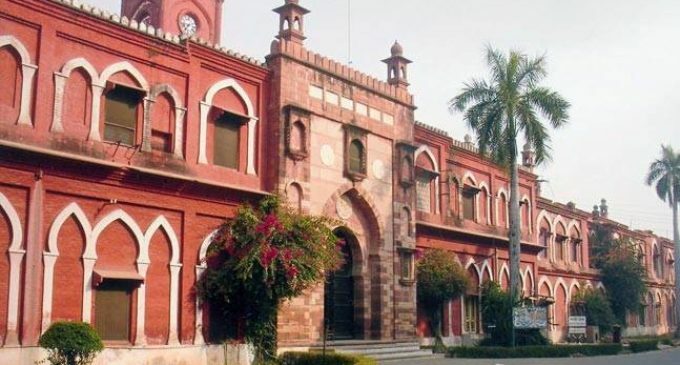 Speaking on the occasion, the President said that Aligarh Muslim University has played a special role in India’s development and noted that it is going to complete 100 years of its establishment as a university in 2020. The President said that students of AMU have made their mark not only in India but also in the other parts of the world, particularly in Asia and Africa. He recalled that during his state visit to Ethiopia in 2017, he was happy to learn that the wife of the Ethiopian Prime Minister was an alumna of AMU. The President was happy to note that AMU’s work in the field of science and technology is responsive to the needs of our society. The Centre for Advanced Research in Electrified Transportation is helping develop useful technologies. He said that such efforts need to be enhanced in other departments of the university so that knowledge and innovation can keep pace with changes in society. Along with science and technology, enlightened, modern thinking is necessary to ensure every section moves ahead amid equality and fraternity. The President said that the pursuit of knowledge and the quest for human dignity are inter-connected. These twin goals have been at the centre of the Indian ethos and of our composite civilisation. They have contributed to our diversity, which is our great strength, as well as our open-minded approach as a people. Mutual respect, learning from each other, sharing with each other, and acceptance of alternative ways of thinking and living are not just slogans in our society. They are India’s natural way of life. These lessons hold true for us as a country. They hold true within and between regions of our country. And they hold true within and betweencommunities of our country. It is important to constantly renew this spirit. The President said that we live in an age of globalisation – of building a world that does not just accommodate but celebrates diversity. And that combines the best of modern technology with the traditions and cultures of our society to build the India of our dreams. Such an India will help every Indian, every boy or girl – irrespective of background or identity – to realise his or her full potential. And such an India will be a beacon of hope for a restless world in the early 21st century. The President said that in today’s era, students of AMU are expected to take their place as among the best students of not only our country but the world. This is a period of mobility. We are all part of a Global Knowledge Society. In such a dynamic environment, engaging with teachers and students in other institutions will be helpful in cross-pollination of learning.